I began playing music when I was a child and I’m involved into computer music since 1999. I deal with a lot of different generes of music, from rock to bombastic soundtracks , from ambient to children’s lullabies . The feelings expressed by my music varies a lot from romance and love to epic fantasy , from thriller and horror to hope, joy and happyness : you will find for sure something that suits your needs and tastes in my portfolio! I’m a guitarist, keyboardist and multi-instrumentalist, with an experimental attitude. I always put a lot of passion in my productions. Music is meant to drive emotions and to set a mood: this is exacly what you will find here. I have plenty of exotic instruments collected around the world (indian sitar, chinese erhu, dizi and guzheng, turkish saz, etc) and I like to combine them also with samples and synth sounds from the PC, as well experimenting with sound design, unusual, and custom build instruments. 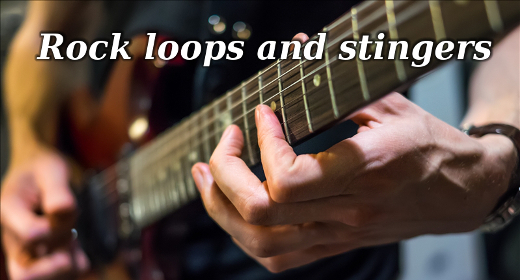 To videohive authors: you can surely use my preview music in your projects! Please link my page and drop me an email so that I can show your video here. The list of my collaborations are on the bottom of this page. Why not to become the next one?